These past few days, I have been in the clouds, literally. The elevation where I am currently staying is so high that I can watch clouds pass through the valley opposite of my hostel window. 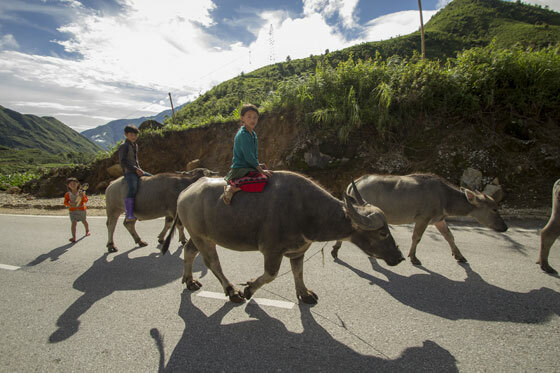 This week I am exploring Sapa, a mountainous region an hour south of the Chinese border. 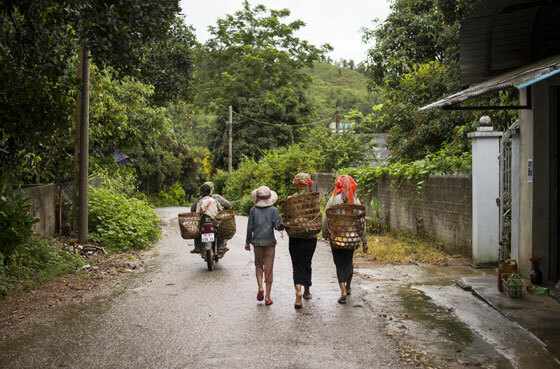 My time here has been my absolute favorite part of my travels in Vietnam, yet Sapa was not originally part of my itinerary. 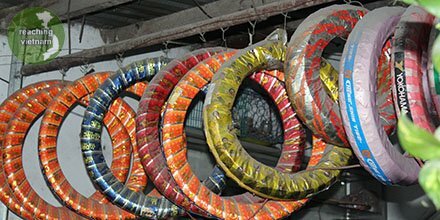 The further north I traveled in Vietnam, though, the more I heard about this incredible region full of colorful villages. 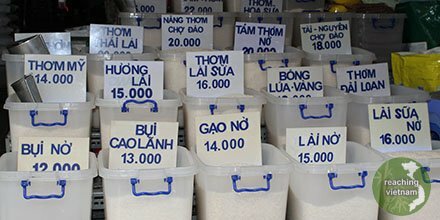 I didn’t really have the time or money to visit Sapa, but I knew that I would regret it if I didn’t go. I prayerfully packed my bags, booked a motorbike tour company that employed locals as guides, and hopped on yet another overnight bus (two weeks earlier, I had incorrectly celebrated what I thought was the last overnight bus journey I would ever have to take). 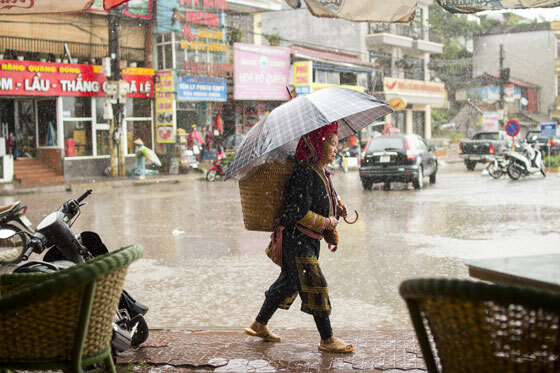 A Red Dao woman navigates the wet streets of Sapa. The next morning, I woke up to a drizzly, miserably cold Sapa. I thought, “God, have I made a mistake?” It was still too early for my brain to think about that, so I grabbed my bag and started walking for my hostel. Half way through the 30 minute walk, it started pouring, and I hailed a taxi to take me the rest of the way. Disappointed, I was planning on contacting the tour guide to cancel, but instead the owner of the company called me and said there was sunshine on the other side of the mountain, if I could endure a 30 minute moped ride in the rain. I was skeptical, but agreed to meet my guide at 9:30am. My guide arrived, we put on our rain gear, and headed for the other side of the mountain. I quickly realized that the tour owner must have meant the other side of the mountain range, as our 30 minute ride very slowly turned into an hour and a half in the bitter cold. I spent roughly half of the time praying for sunshine, and the other half complaining about the rain. When we finally arrived in the valley that was supposed to be sunny, it was still cloudy and drizzly. I wasn’t happy. Finally, we stopped at a café in our first village, and ordered hot tea and fresh fruit. I made a half-hearted effort to hide my bad attitude, but I doubt my guide probably was fooled. I decided that I would at least be a good sport for my kind guide. I excused myself for a few minutes to walk around. It wasn’t raining quite as hard, and I realized that the village and the people were still just as beautiful despite the poor weather. Around the time that I started adjusting my attitude, the rain stopped and the clouds slowly began to subside. 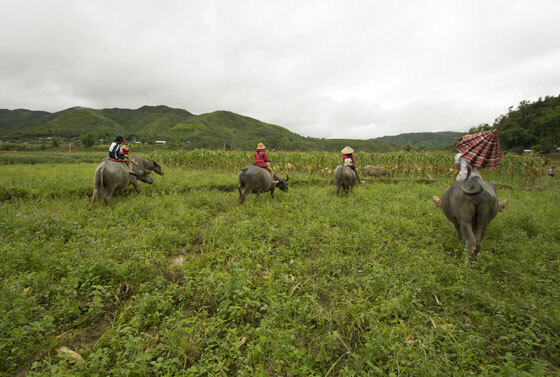 Lao Lu women walk to the fields to begin work. 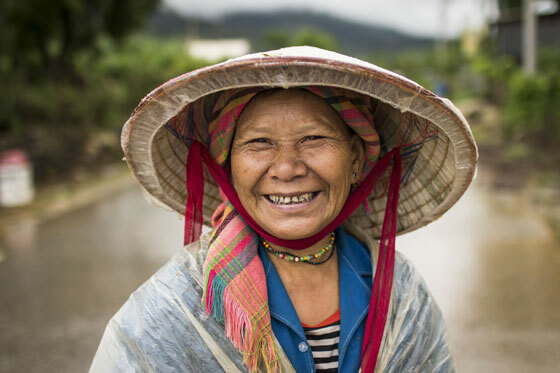 A Lao Lu woman smiles for my camera on her way to the fields. I headed back to the café, and we set out to explore. The rest of the day was unforgettable. 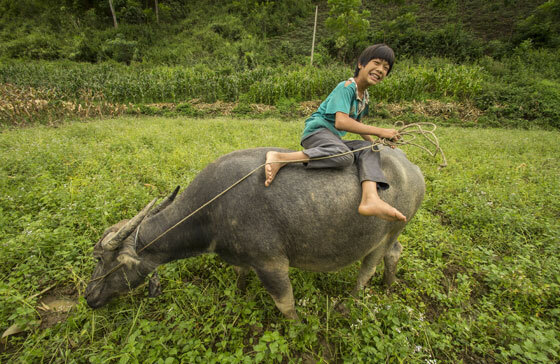 I ate lychee in a family’s home, trekked through muddy fields to capture children riding on buffalo, watched as locals harvested rice, and saw incredible views of steep mountain passes and lush valleys. 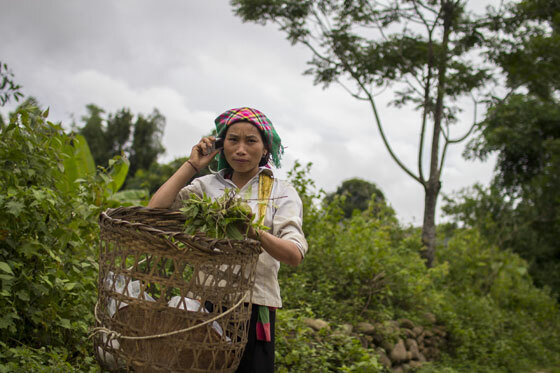 A Lao Lu woman chats on the phone while walking along the path. 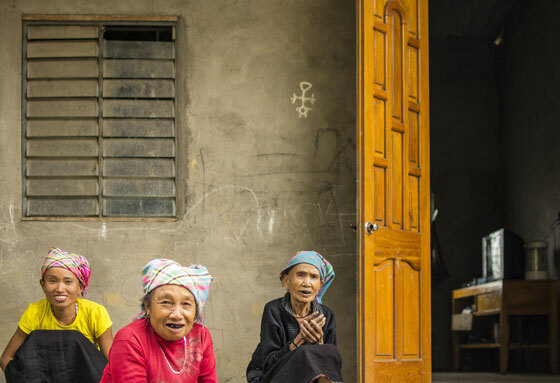 Three generations of Lao Lu women. 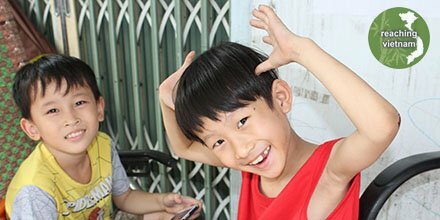 In Lao Lu culture, a black smile is considered a sign of beauty, so women dye their teeth black using vegetable dyes, while men dye their teeth red. Younger generations, however, no longer practice this tradition. Lao Lu locals curious as to why I am in their village. As we passed one valley, I saw a group of children riding buffalo in a field below. I asked my guide to stop, and I followed a gravel path down to the field. When I got to the field, I realized why all the children were on buffalo: anyone trying to walk through this field by foot would have to trek through ankle-deep mud. I was determined to get closer to the kids, though, and kept going. When I finally got close and pulled out my camera, the group suddenly became very shy, and made a game of avoiding me! When I put my camera down, they would smile at me, but the second I picked up my camera off of my shoulder, they would turn their heads or hide behind umbrellas. Finally, my instincts beat theirs, and I am able to get one clear shot of one of the children with his buffalo. Feeling satisfied with my singular successful shot, I decided it was time to head back. By this time I was very far from the path back up the hill, and decided to climb straight up the steep hill covered in brush that led up to the road. The children laughed as I struggled to pull myself up the slippery, muddy slope. I had gotten pretty filthy on my short trek, but It made me happy knowing that they would remember my silly charade far into the future. Three monkeys in a tree. 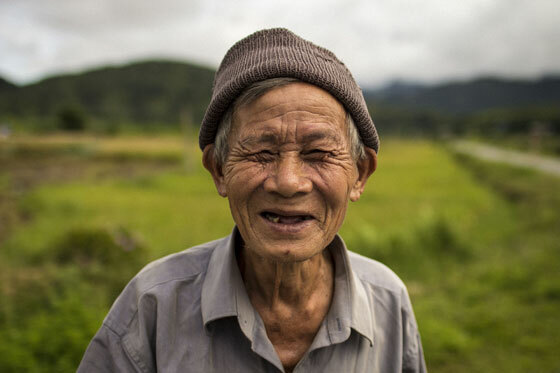 To the hill tribes in Northern Vietnam, rice is life. For many farmers, the ability to support their families depends solely on this precious crop. 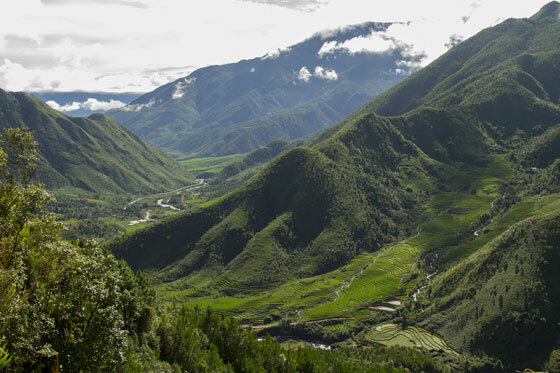 The Lai Chau valley is home to some of the most fertile lands in the region. 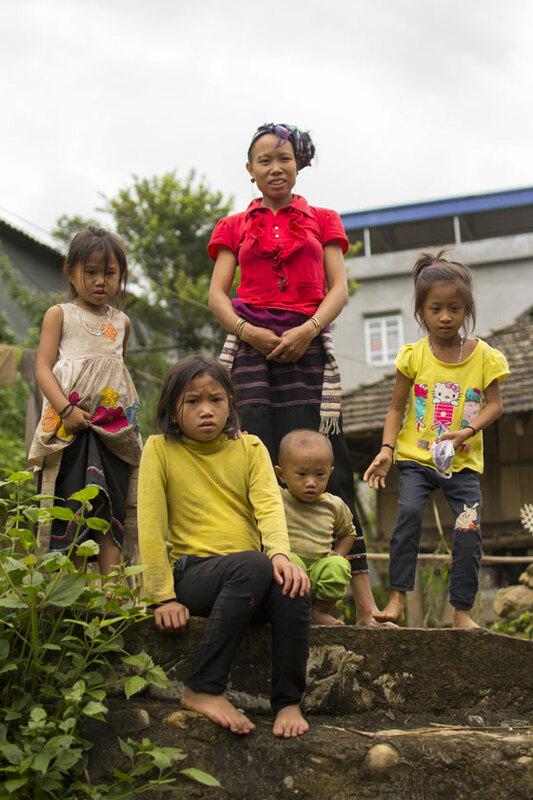 The families that migrated earliest to the region had their pick of the land, while families that arrived later pushed further south towards Sapa. 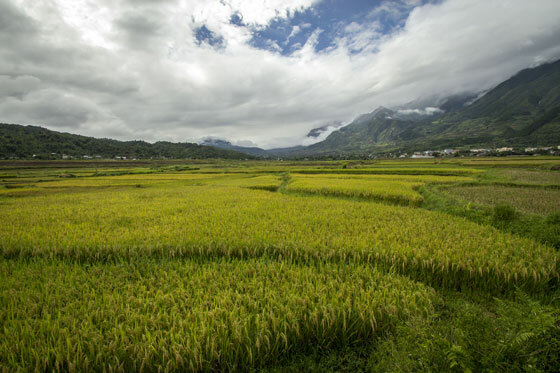 Near Sapa, the land supports only one harvest per year, but in this especially fertile region, farmers can harvest twice or even three times per year. 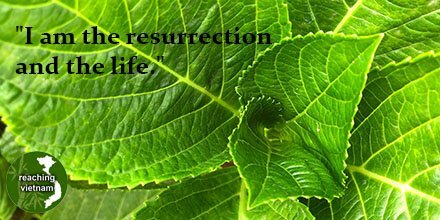 Lately, I am told, the seasons have become less predictable. In the last few years, the dry season has seen more rain, and the rainy season has been too dry. 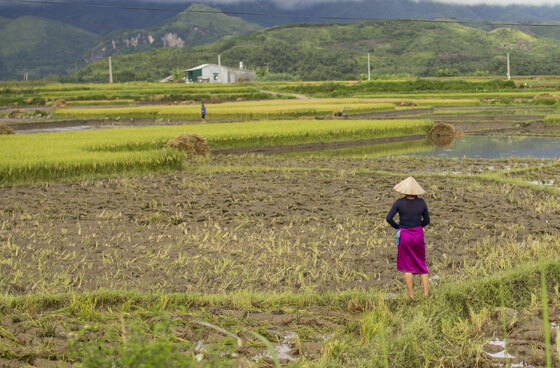 Rice production depends on these seasons, and unpredictable weather can destroy an entire crop. I heard of one family that owned only 13 rice terraces. This year, when the rain never came that the farmers needed to raise rice seedlings, the family had to borrow seedlings from neighbors whose fields had better access to water. A White Thai woman joins the work to harvest the rice fields. After an incredible day, it was finally time to begin the 60km journey back to Sapa. Along the way, we passed another group of children on Buffalo. This group was less shy than the last, and was exited to have their picture taken. A little later, we passed two boys standing on the side of the highway. I didn’t understand what they were doing with this animal, still alive, that was slowly being strangled to death. My guide explained that they were waiting for someone who would want to buy the animal and eat it. 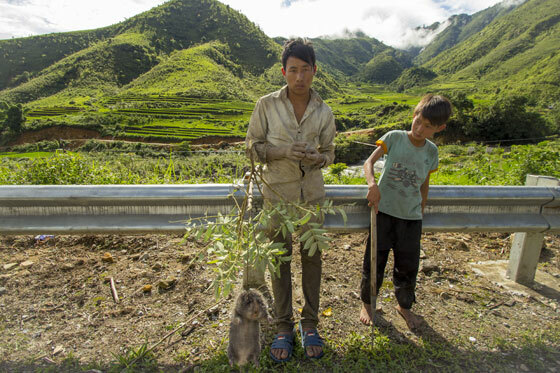 “In Sapa, most people only have access to a few kinds of meat, so they like to eat other types of meat when they can.” I felt bad for the animal, but I felt even worse for the two boys. I could see from how filthy they were that they had worked very hard to catch this animal. There was a look of desperation on their faces, almost as if they were afraid of something. What circumstances had led them to this point? 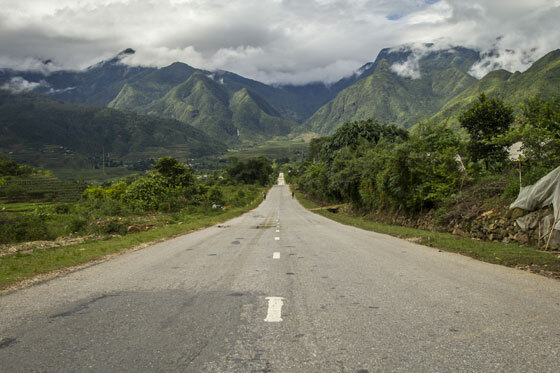 The road back to Sapa. After such an incredible day, my heart was full. Earlier that morning, I had been unhappy and even a little angry about how the day was going, yet all along, God had an unforgettable day planned for me. In the end, the rain at the beginning of the day had only made the sunshine that much more beautiful. It made me wonder: how often do I get angry at God, thinking he has failed me, only because I am unwilling to wait for God to reveal the big picture? Father, thank you for being faithful and loving, even when I am not.